SLAM IT! 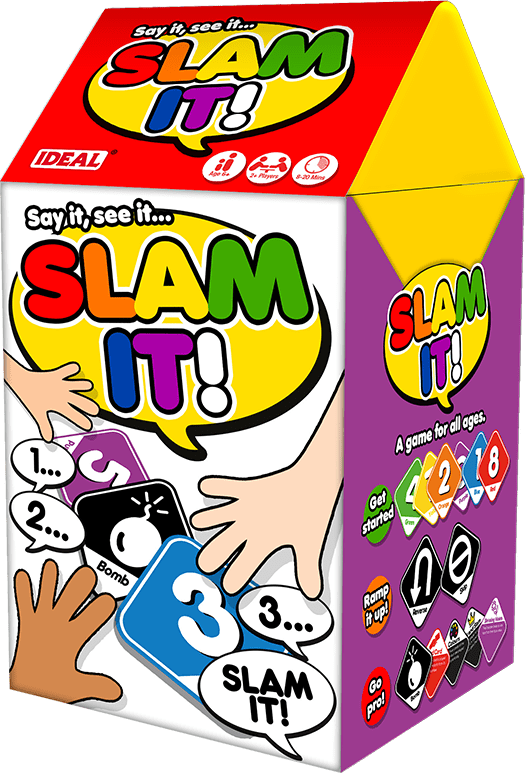 is a game for all ages. 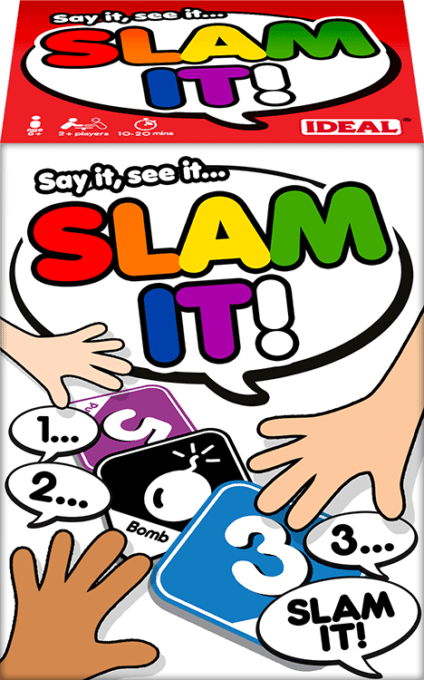 Say it, see it … SLAM IT! Each player plays a card while counting in sequence from 0 to 9. 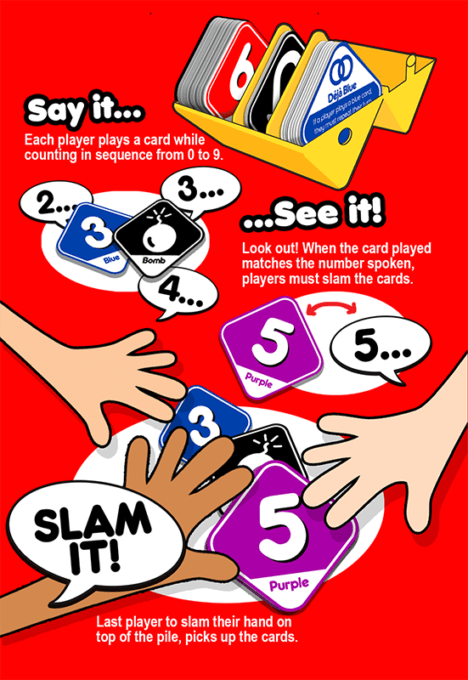 Watch out though, when the card played matches the number spoken, players must slam their hands on the pile of cards. 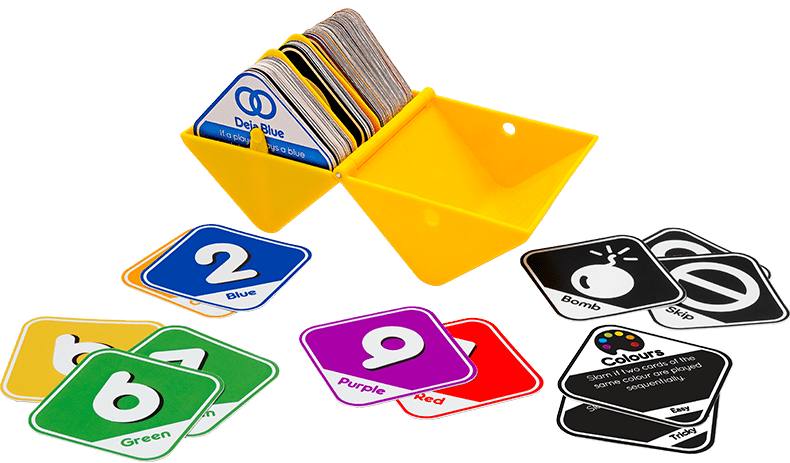 The last person to slam their hand down keeps the pile of cards!